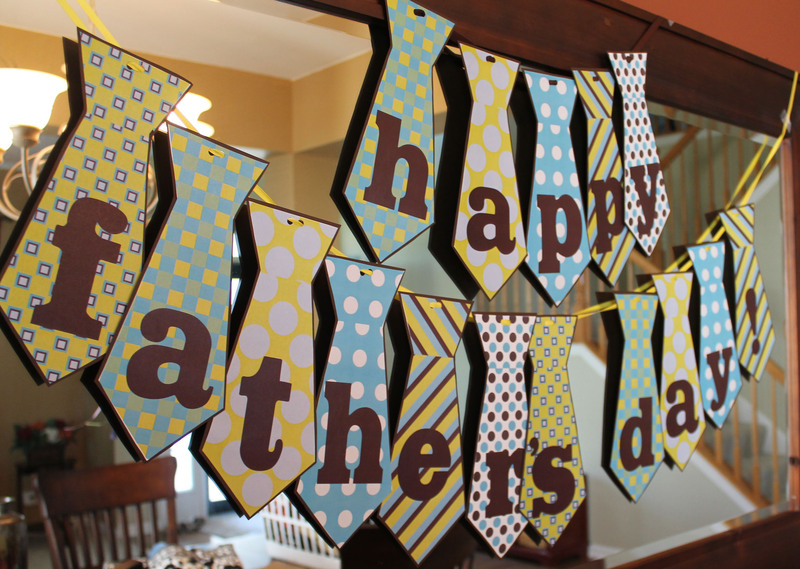 In my search for Father’s Day ideas on Pinterest, I came across this adorable FREE gift tag printable. 1.) Download the free printable. 2.) Print on regular white paper or cardstock. 3.) Cut out the gift tag. 4.) Tape the tag to a piece of colorful cardstock. 5.) Cut out the tag, creating an outline. 6.) Write a note on the gift tag. 8.) String a ribbon or thread through the hole. Substitutions: I didn’t print directly onto cardstock because my printer can’t handle it. So, I opted to print on regular printer paper and then to make it more sturdy, I outlined it in an orange cardstock. When my husband comes home from work, he takes the girls down to play in the basement. This gives me some time to unwind and get ready for dinner. There is always a Costco size jar of snacks in the basement. My daughter calls them Sophie/Daddy snacks. 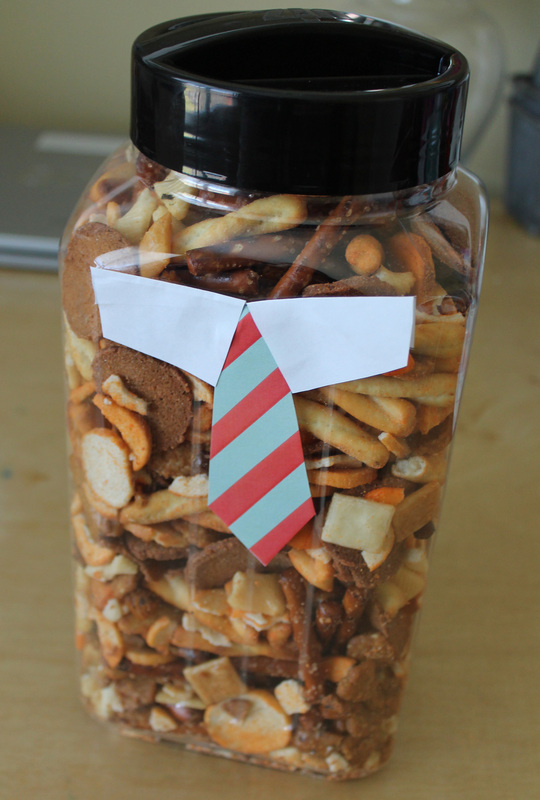 Since we’re out of “Sophie/Daddy” snacks, we picked up a new jar at Costco the other day. 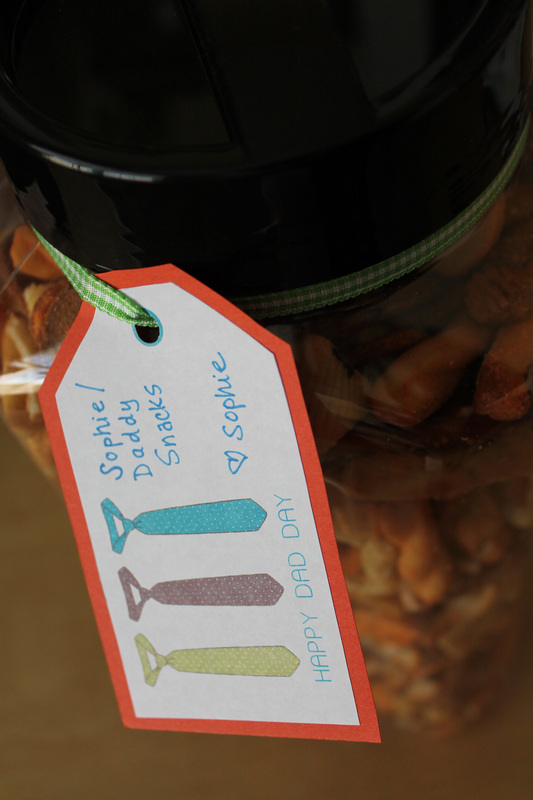 We’re saving them for Father’s Day and used this really cute printable to “wrap” the gift. Substitutions: I didn’t use the entire printable. I cut off the neckline because I thought it looked cute with just the tie and collar.